Get A Free Book & More Money! 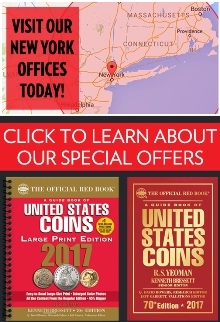 If you are in the process of selling a coin or currency collection and you happen to be in the New York area, then please come by our office 123 W. 57th St. in Midtown Manhattan. 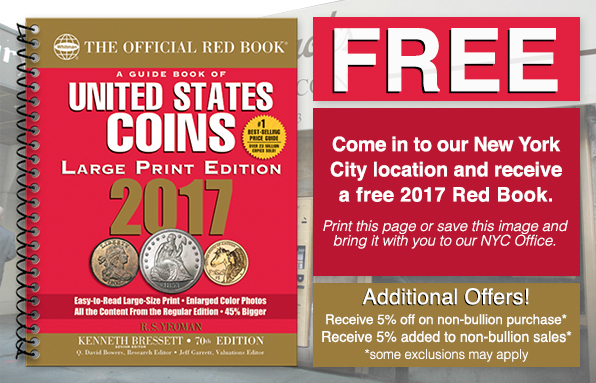 You can learn about our NYC coin shop. 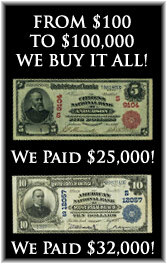 The phone number at our store location is 212-582-2580. (For all non-NYC inquiries please still use our main number which is 864-430-4020). 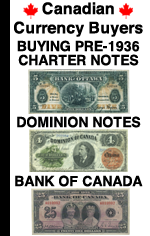 To get the free book and 5% added to our purchase offer you will need to either print this page or save the image below and show it to Andrew, Vick, or Amandeep when you bring your coins or currency in. 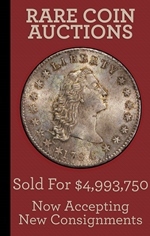 And of course please remember that even if you aren’t in New York City, or can’t come to our other offices in Los Angeles, CA or Greenville, SC, you can always email pictures of what you have to Sales@AntiqueMoney.com or text to 864-430-4020 and we can make an offer that way.